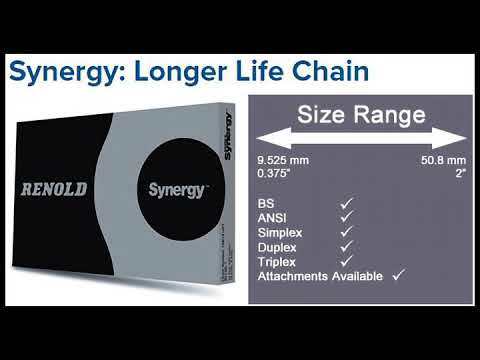 Renold Synergy Chain is available in ANSI Standard sizes, duplex and triplex construction. Additionally, British Standard sizes ranging from 06B to 24B in simplex, duplex and triplex construction are also available. Wide waist profile for improved stress distribution; plate thickness maximized within the constraints of the Standard. Optimised to ensure maximize fatigue life.